The highest-level US delegation to Cuba in 35 years begins talks aimed at restoring diplomatic ties and eventually normalizing relations between two adversaries who have been locked in Cold War-era hostilities. 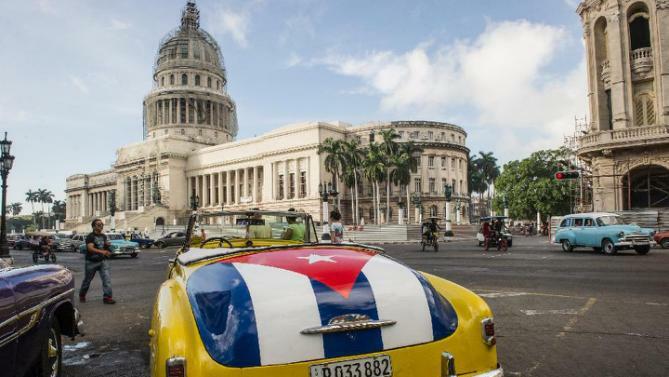 The talks in Havana are part of a thaw in relations between the two rivals announced last month in simultaneous speeches by President Barack Obama and his Cuban counterpart, Raul Castro. They come only hours after President Barack Obama urged Congress to seize the chance to end the US trade embargo against Cuba. The talks will focus on migration and restoring full diplomatic ties. Both sides are also expected to outline longer-term goals. While Cuba will seek the repeal of Washington’s 53-year-old economic embargo and ask to be removed from the US list of state sponsors of terrorism, the Americans will press the one-party state for greater human rights. The US delegation will be led by Roberta Jacobson, the top US diplomat for Latin America. The last time someone of her level of seniority visited Cuba was 35 years ago. The Cubans have not made their agenda public, but talks are expected to focus on migration issues on January 21 and fuller diplomatic relations on January 22. On January 20, President Barack Obama stressed the importance of the thaw in US-Cuban relations in his State of the Union address to Congress. He said his decision to engage with Cuba after decades of frozen relations had the potential to “end a legacy of mistrust in our hemisphere”. The president also urged Congress to begin work on ending the US trade embargo against Cuba, which has been in force for more than five decades. “In Cuba, we are ending a policy that was long past its expiration date. When what you’re doing doesn’t work for 50 years, it’s time to try something new,” he said. Barack Obama said the shift in his administration’s Cuba policy removed “a phony excuse for restrictions in Cuba; stands up for democratic values; and extends the hand of friendship to the Cuban people”. However, President Barack Obama does not have the power to lift the embargo, only Congress can do that and correspondents say many Republicans are still deeply opposed to this.